I’ve decided to devote my next few posts to chemical free pest control. 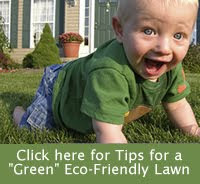 I could give you a lot of reasons why it isn’t a good idea to use chemicals in a landscape. A HUGE one is that everything you put into your yard has the potential of finding its way into our local waterways, which is the leading cause of non-point source pollution. But I think the main reason that I am in such a “buggy” mood is because I just bought a new camera and, when in macro mode, it can take photos as close as ½” away. Its really hard for me to kill something after I look that close at its tiny little face. So for my first post this week, instead of telling you how to get rid of bugs, I am going to tell you how to get MORE bugs to your garden…the beneficial insects that will do some of the dirty work for you in your fight against garden pests. Many of the insects that visit our gardens provide a benefit. Some of them improve the soil. Others pollinate our plants. But the term “beneficial insect” is probably most often used to describe good insects that control the bad insects that cause problems in the garden. This definition of ‘beneficial insect’ describes the watchdogs of the gardens – the tiny sentinels that keep those pesky garden intruders such as aphids, mealybugs, scale and whiteflies in check without the use of harmful chemicals. Some of the most popular beneficial insects are ladybugs, green lacewings, parasitic wasps and dragonflies. The question, of course, is how do we get the beneficial insects to our gardens? And even more important, once they are there, how do we get them to stay? Before we go any farther, there is one thing that you need to remember: Beneficial insects are just another form of wildlife. So instead of thinking ‘bug’, think of something larger: Birds, perhaps. With that in mind, think of the two primary ways that you can get beneficial insects into your garden. You can purchase many varieties from local nurseries and online specialty stores. Or you can try to lure them into your garden. Bats, hawks and many other forms of wild birds are all excellent at keeping the pest populations down on your property. But what do you think would happen if you could go to a store and buy a large quantity of predatory birds and release them on your property? First of all, most of them would immediately fly away. And the ones that did manage to stay around may not be well adapted to your area and may become sick or cause problems to the native wildlife. Now think of the second option. Imagine that you create an environment that the predators find so inviting that they fly in on their own and setup housekeeping. You will attract NATIVE predators that want to dine on the NATIVE insects. So if luring beneficial insects makes so much more sense, how does one go about doing it? As with any form of wildlife, if you want to entice beneficial insects to hang around, you must provide for their basic needs: food, water, safe shelter and places to raise their young. If you release any wild creature in your yard without providing these elements, its immediate reaction is going to be to get out of your yard! The same is true of live insects. Water: Ponds, birdbaths and rain gardens all provide enough drinking water for insects. If you do not have any of these sources on your property, a shallow dish or pan of water filled with pebbles so the insects won’t drown will suffice. Change the water every few days to discourage mosquitoes from breeding. Shelter: Leaf litter, mulch and other yard debris provide sources of shelter for beneficial insects. So do stone, driftwood, shells and other natural garden decorations. But in addition to shelter, you must provide for the health and safety of beneficial insects. This means eliminating harmful chemicals and bug zappers from your garden. Both of these items kill as many beneficial insects as they do pests. Food: This is the most important item that must be present in a garden to encourage beneficial insects to stay. There are two ways in which beneficial insects control other insects. Predators, such as dragonflies and ladybugs, feed directly on their prey. Other beneficial insects are parasites and kill their hosts by laying eggs on or in them. The growing young, in turn, kill the host insect by using it as food. So in theory, if you have pest insects in your yard, you will have food for beneficial insects. However, garden pests are usually not enough to entice beneficial insects to stay. Beneficial insects also require key components found in pollen and nectar plants. Without these plants, beneficial insects cannot survive. If you provide plants that beneficial insects enjoy, you will have a much better chance of attracting and retaining beneficial insects in your garden. As a general rule, beneficial insects like tiny flowers that offer both pollen and nectar. A variety of plants should be selected that bloom at different times of the year and for best results, intersperse these plants amid your other plants. Beneficial insects love the tiny, fragrant flowers of many types of herbs and vegetables. If you grow this type of plant, allow some of them to fully bolt and produce flowers. Although you can buy beneficial insects online and at some local nurseries, I suggest that you try to attract them to your yard, first. As with most things in nature, it is always better to conserve or supplement the beneficial insects already at work in your garden then to try to bring in imports. Also keep in mind that If you introduce purchased beneficials into your yard to control a pest problem, you may find a negative impact on native butterflies, moths, pollinators and other friendly garden residents. Plants that attract beneficial insects: Alyssum, Angelica, anise, baby’s breath, bee balm, calendula, candytuft, carroway, carrot family, cilantro, clover, coreopsis, coriander, cosmos, daisy, Dill, evening primrose, fennel, feverfew, goldenrod, lavender, lemon balm, lovage, marigold, mint, mustard family, parsley, Queen Anne’s Lace, rue, spearmint, sunflowers, tansy, thyme, yarrow, zinnias and any wildflowers native to your region. So glad to come cross this post! I'd like to introduce you to Greenbug which is all natural, completely safe and environmentally sound pest control that uses cedar as the active ingredient. Think of cedar chests and closets where you never see a bug… it is because cedar is deadly to the smell-driven (pheromone-driven) pests yet harmless for humans, animals and sight-driven, beneficial creatures. For an aphid, whitefly, Japanese Beetle, etc., Greenbug is deadly so they will get away or die. For any pollinator or other beneficial, to them Greenbug is a pleasant natural fragrance. Greenbug for Outdoors is so safe, it can be used on plants and vegetables immediately before harvest with no concerns. Greenbug for People is a personal repellent that is not oily, does not stain or leave a residue, and it WORKS!!! Not only are pesticides dangerous pollutants, but they bio-accumulate up the food chain and as synthetic, non-natural ingredients, are not able to be metabolized. Pesticides in the body and environment are like plastic in the landfil – they never go away! Other pests controlled by Greenbug are ants, fleas, ticks, stink bugs, bed bugs, head lice, dust mites, roaches, etc. all with no harm. Greenbug is the 'green' way to wipe out bugs!